Roy Mikkelsen began his competitive skiing career as a youngster in Norway, immigrating to the United States in 1924. In Chicago, Illinois he joined the Norge Ski Club as a Class “A” jumper. In 1933 Mikkelsen won the first of many alpine titles and represented the United States in ski jumping at the 1932 and 1936 Olympic Winter Games. Born in Konigsberg, Norway on September 15, 1907, Roy Johan Mikkelsen immigrated to the United States in 1924 at age 17. After working for three years on his uncle’s farm in Black Duck, Minnesota he joined his brother, Halvor, in Madison, Wisconsin. A year later he and Halvor moved to Chicago where Roy became active as a ski jumper with the Norge ski Club. In 1932, after becoming a U.S. citizen, Mikkelsen represented his adopted land in the Winter Olympics at Lake Placid, New York. He competed in the National Tournament at Lake Tahoe later that year. There he met Wendell Robie, a founder of the Auburn Ski Club of Northern California, who persuaded him to try alpine skiing. In 1933 and 1935 he won the National Ski Jumping Championships. He represented the United States again in the 1936 Winter Olympics and went on to win many alpine ski honors in downhill and slalom. In April, 1942 Mikkelsen enlisted in the United States Army. After finishing “boot camp” and officer’s training school at Fort Benning, Georgia he was assigned to the 10th Mountain Division in Colorado. A short time later he was reassigned to the famous 99th Norwegian-American Battalion, then in training at Camp Hale. This battalion fought its way across Europe under the command of General George Patton. Mikkelsen was discharged from the army as a captain in November, 1945 and returned to Auburn where he and his wife, Ester, had lived since 1937. He had always been interested in civic affairs. Before he went into the service he was president of the Auburn 20-30 Club and following his return he became active in the Auburn Rotary Club and the Auburn Chamber of Commerce. He was elected to the auburn City Council in 1950, elected mayor pro tem in April, 1952 and mayor in November of the same year, serving with distinction until April, 1954. Subsequently Mikkelsen was appointed to the Placer County Planning Commission with responsibility for developing ordinances designed to protect the region’s natural beauty and to prepare for orderly growth. He was a prime mover in planning and securing the 1960 Winter Olympics for Squaw Valley. 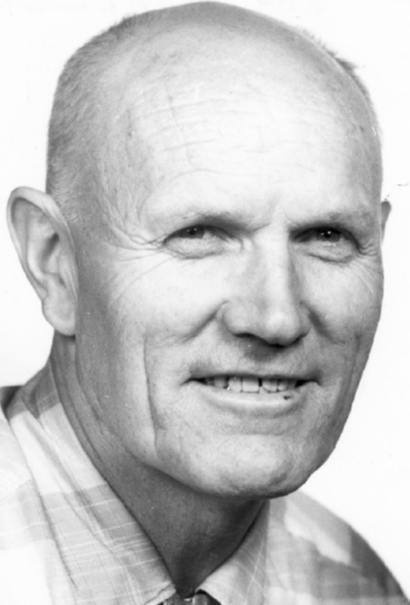 An outstanding national athlete, war veteran, businessman and civic leader, Roy J. Mikkelsen was elected into the U.S. National Ski Hall of Fame in 1964. If you notice any errors or inconsistencies in Roy J. Mikkelsen's bio, click here to let us know.